The same disclaimer with which we began this book pertains here. Neurofeedback does not pretend to cure any illness or diagnosed problem. Through relaxation and attunement, it simply makes the symptom easier to live with, or it may facilitate a self-healing response from within the patient. What defines conditions that are likely to benefit from treatment by neurofeedback? Think of anything affected by the central nervous system (especially our brains): anxiety, depression, insomnia, hypervigilance (for whatever reason); but also the more severe mental problems such as obsessive- compulsive-disorder, attention deficit and hyperactivity, especially in childhood; and explosive or anger disorders based on chronic irritability. Neurofeedback may facilitate pharmaceutical treatment or combined approaches such as psychotherapy or autogenic training, and so forth. Then there are disorders not expected to be more than minimally treatable, if at all, such as autism and Asperger’s syndrome. By simply calming and balancing the nervous system, and by increasing the patient’s own sensitivity to internal cues or problems, neurofeedback may make things a little easier, and more graceful, for them. Moreover, neurofeedback can help ameliorate the sequelae of disorders normally regarded as problems only treatable by medicines: Parkinson’s disease, notably, and multiple sclerosis. Again, no cure is offered, only more ease with side effects such as tremor, anxiety, sleep disturbance, and nightmares. An area in which conventional medicine offers very little is TBI, traumatic brain injury, in all its many inflections: automobile accidents and falls, impact and blast injuries in the military, sports injuries, anoxias and ischemias, strokes and aneurysms. While some neurologists remain stuck in the old paradigm of “no neuronal regeneration”, neurofeedback, as we have discussed, promotes neural plasticity, glial repair, and dendritic proliferation through injured areas, as well as the reassignment of lost functions to new areas. Neurofeedback has shown special promise in helping the resolve PTSD (post- traumatic stress disorder). Some clinicians believe neurofeedback can provide therapeutic relief from flashbacks, nightmares, and explosive or seizure disorders subsequent to traumatic exposure. It can soften the difficulties of “soldier return” syndrome of damaged warriors attempting to integrate into civilian life. Seizures and seizure disorder have a special appropriateness to neurofeedback because they occur in the brain and involve the same brain waves that neurofeedback measures. Neurofeedback prides itself on being included in “complementary and alternative medicine”. That is to say, the best neurofeedback clinicians work integratively with physicians, nurses, and physical and occupational therapists as well as psychotherapists to achieve more complete outcomes than single modalities alone can usually achieve. Neurofeedback may facilitate or free up the brain to make much more profitable use of many kinds of therapeutic and rehabilitative techniques. 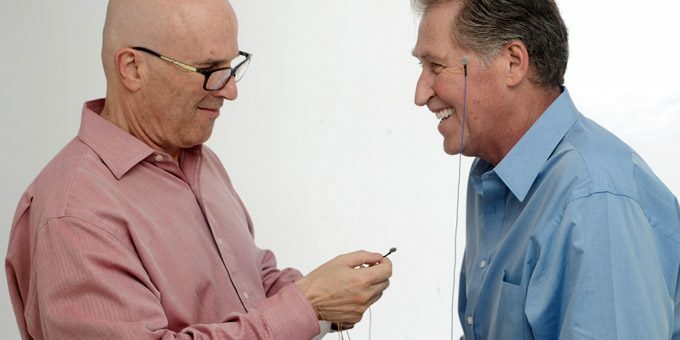 Neurofeedback can also, by making patients more sensitive to all forms of stimulation and input, help with the side effects of prescription medications, to the point that the doctor may be able to lower the dosage. Neurofeedback has also helped with the aftereffects of chemotherapy or radiation (instead of using the other medications and further compromising an already overburdened system). Some neurofeedback clinicians have also had experience with trying to restore brains compromised by multiple ECT (electroconvulsive therapy) treatments. The gentler treatment may help restore damaged memory, or fine-tune cognitive clarity lose in the overwhelming impact of the ECT. In conclusion of this section, we should mention one more important application: the use of neurofeedback in optimal performance. Many neurofeedback researchers, as well as clinicians, have focused on helping athletes and performing artists such as dancers and musicians get out of their own way and let creativity shine through. We have mentioned John Gruzelier’s study of the effect of neurofeedback on conservatory-level musicians, where it helped improve accuracy and virtuosity, but also helped the musicians enhance their emotional communication. 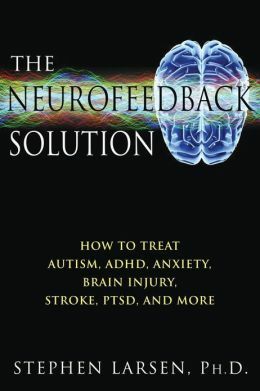 We know of no comparable studies for writers and poets, but the author has seen neurofeedback be very helpful to people with “writer’s block” and the inability to finish plays, novels, or doctoral dissertations.